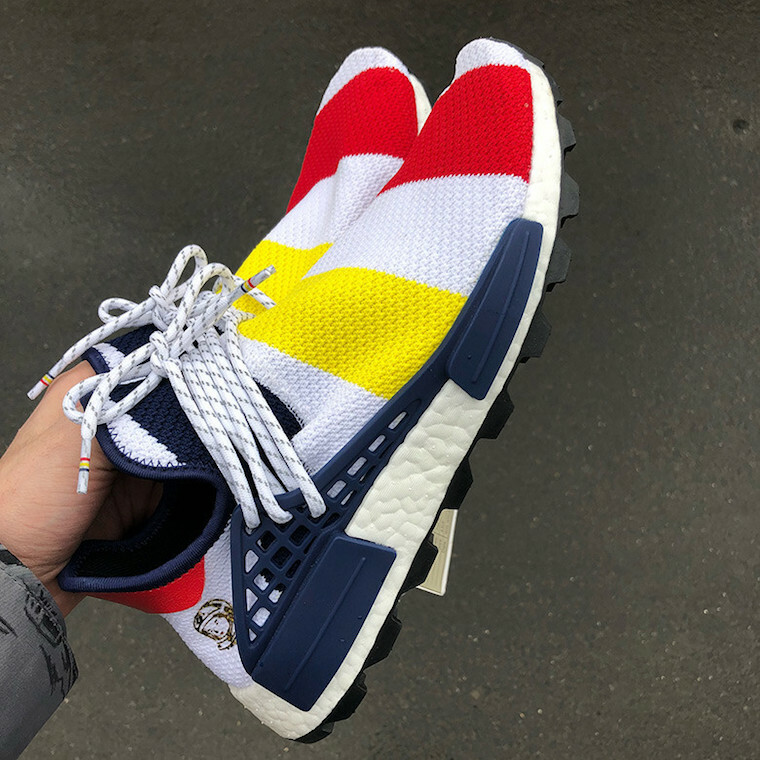 BBC x adidas NMD Hu Trail "Heart/Mind"
Billionaire Boys Club has teamed up with adidas to release their exclusive adidas NMD Hu Collection for Fall 2018. 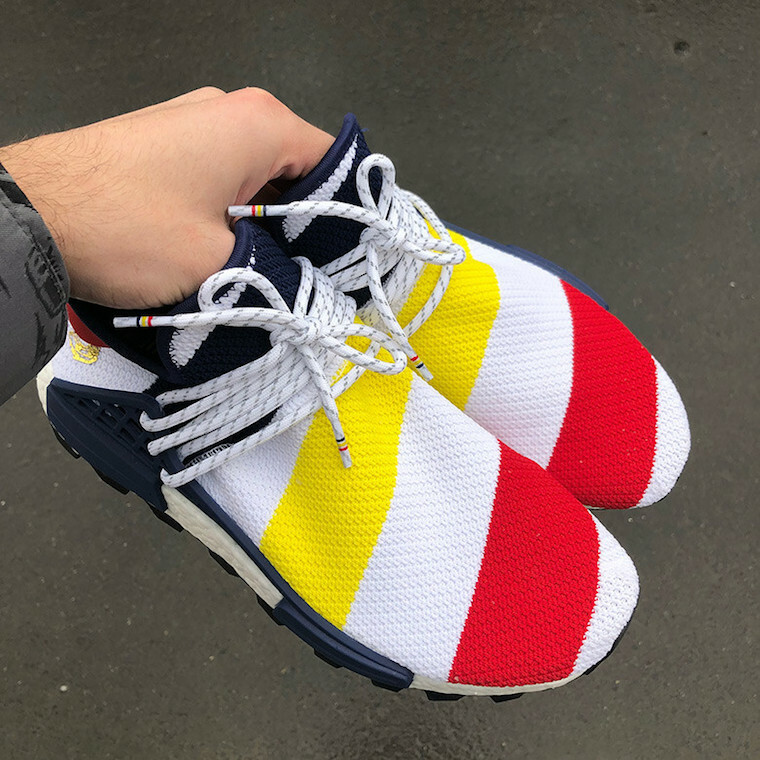 The adidas NM Hu Trail “Heart/Mind” is one of the pairs in the collection. 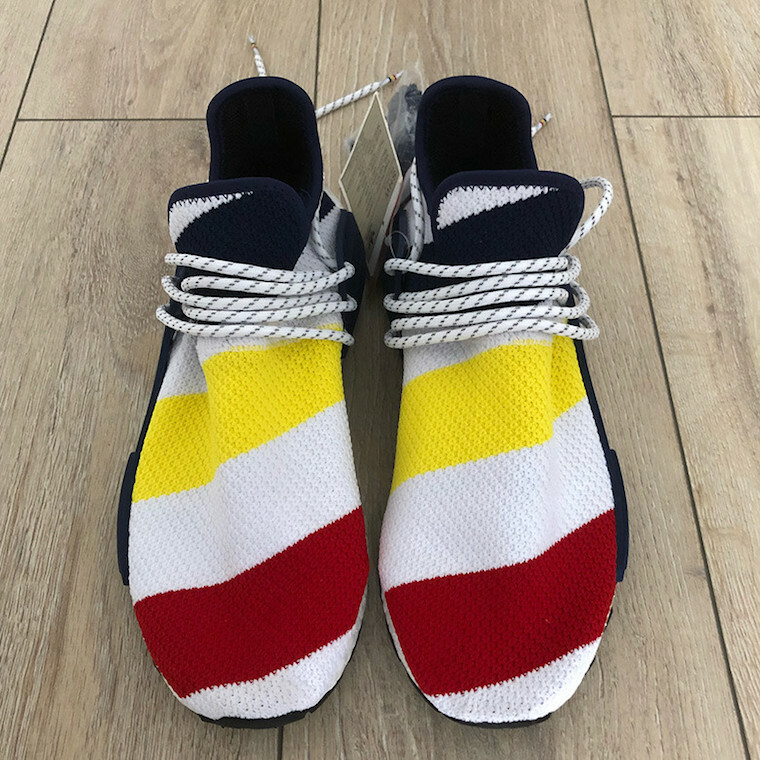 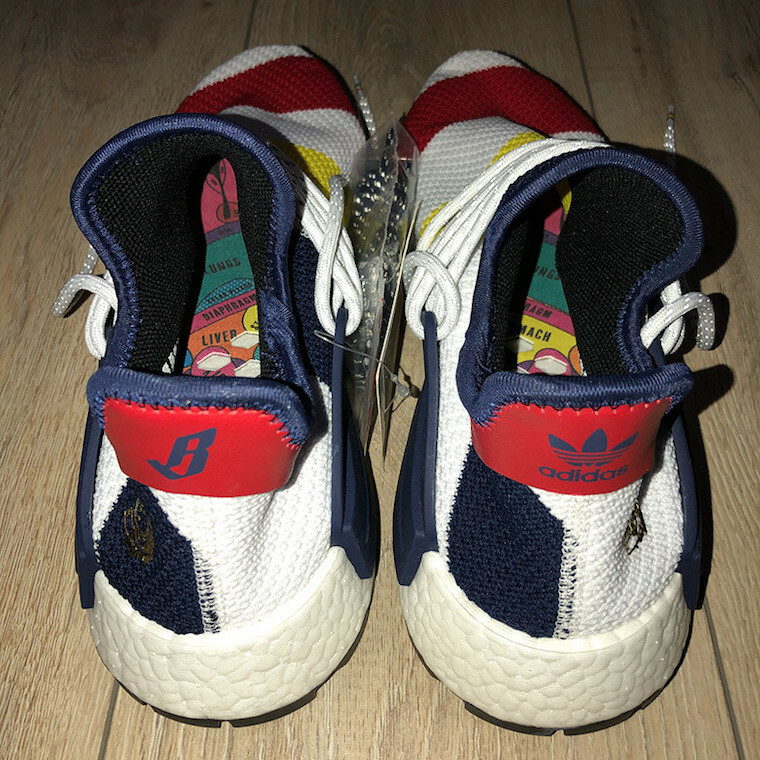 Constructed of a full Primeknit upper and highlighted with bold strips in White, Navy, Red and Yellow. 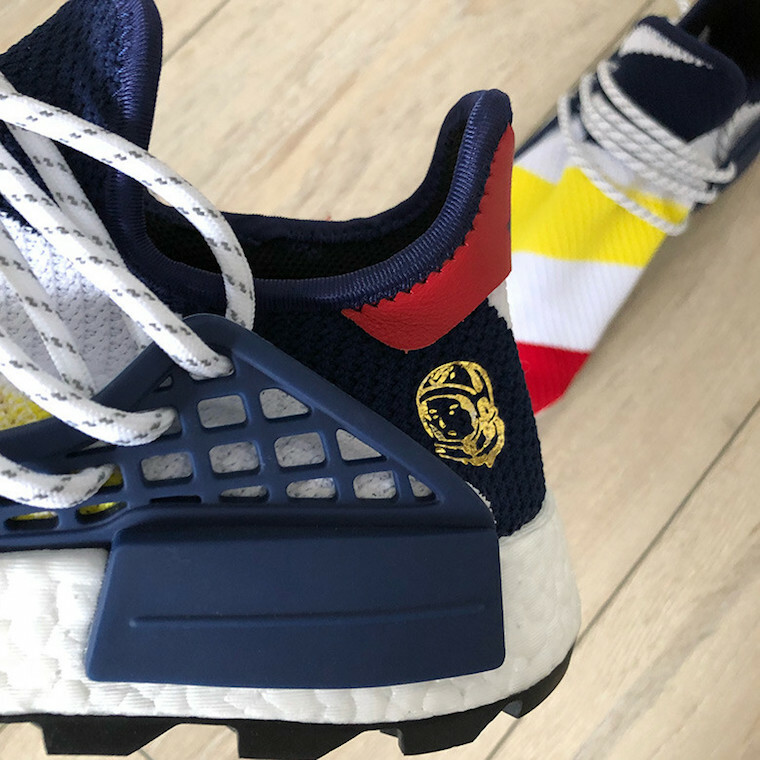 Both “Heart” and “Mind” words set to be on present on the front of the shoe atop a White Boost midsole, Navy EVA insert overlays and Black trail rubber outsole. 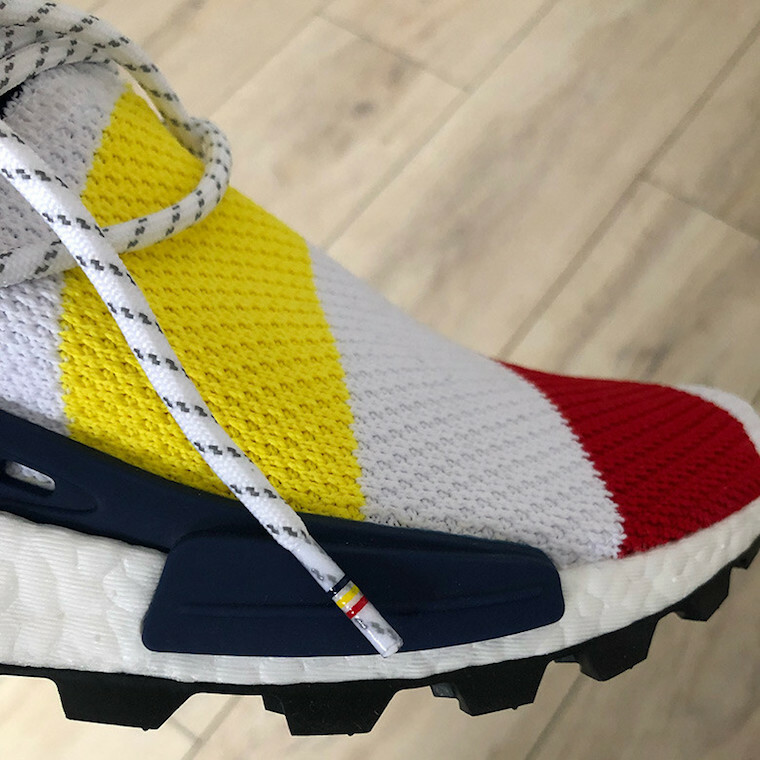 To finish the design, a golden BBC logo is on the lateral side of the heel. 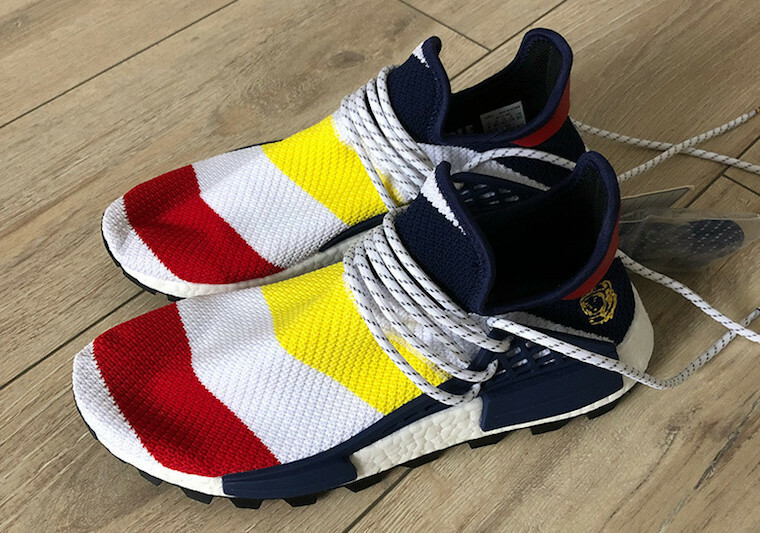 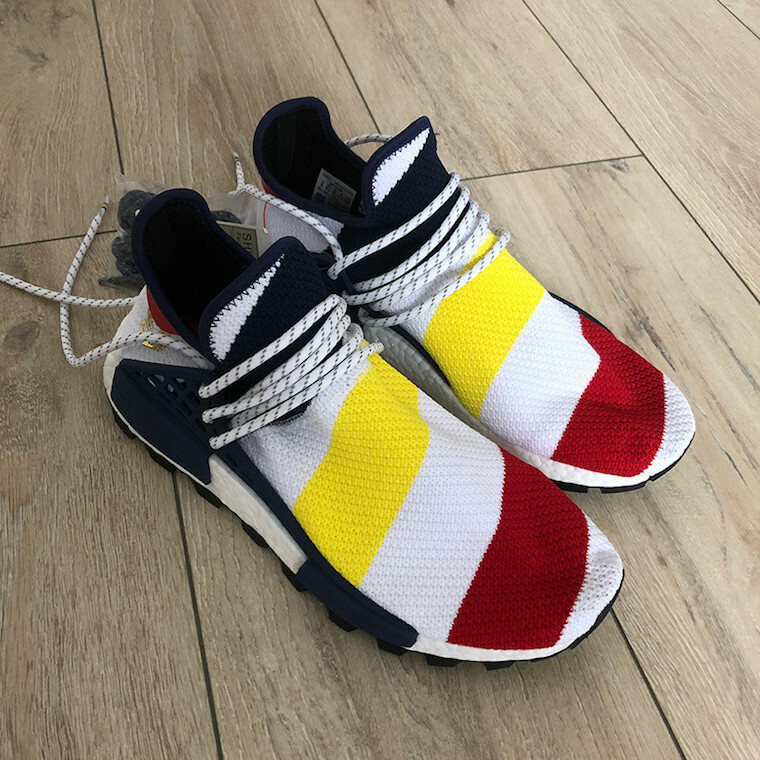 The BBC x adidas NMD Hu Trail “Heart/Mind” is set to release this October 2018 at select retailers and adidas.com.